An Exorcism in Family Court? No, this is not an exorcism or a poor attempt at a seance, it's the first ten copies of Satan's Docket sold in ten minutes on the day of its release at a popular restaurant in New York's Adirondack Mountains. Get your copy today while the supply lasts. Okay we’ve heard of all the crazy evaluations, forensic reports and even a “parent education” program ordered by judges in our nation’s divorce and family courts, but an exorcism? Was this really ordered by a judge in New York? Well not quite. But pretty close when an affidavit was filed by a witness in my case requesting exactly that. It sought to have my ex-wife, Kelly Hawse-Koziol, submit to an exorcism for all the evil she was exhibiting in her unbridled agenda to have me replaced as a father by a childless millionaire. It was also filed in response to all the crazy evaluations being ordered by a pair of feminist judges, and more recently, a trainee judge near the Canadian border, Daniel “Kangaroo” King. The concoctions, outright fabrications and shameless retaliation for my exposure of corruption in these courts made the exorcism request not so crazy when you really got down to it. I mean, after all, if you can come up with a limitless supply of bizarre orders and psychiatric evaluations by legalized drug dealers, why not an exorcism especially when the proceedings defy logic and conscience? Beyond that, there was certainly enough evil among cases everywhere, and mine in particular, to warrant an exorcism. Since the time of that affidavit, ethics lawyers engaged in the witch hunt against me were terminated for falsifying their times sheets (the same ones charged with preventing overbilling practices), my custody judge was removed from the bench after admitting to sexual abuse of his five year old, handicapped niece (Bryan Hedges), a chief family court clerk recovered $600,000 for being ordered by my chief administrative judge in Syracuse to conduct “political espionage,” (Morin v Tormey) and my ex-secretary, influenced to create ethics issues in my office, was finally sent to jail last year. If that’s not Satan in the mix, then I don’t know what is. 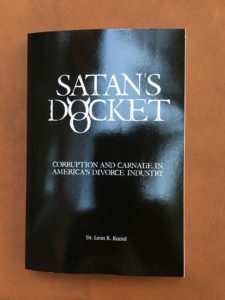 Now you can read all about it and much more in my early release book entitled: Satan’s Docket: Corruption and Carnage in America’s Divorce Industry. Some have thought the title to be a bit extreme. 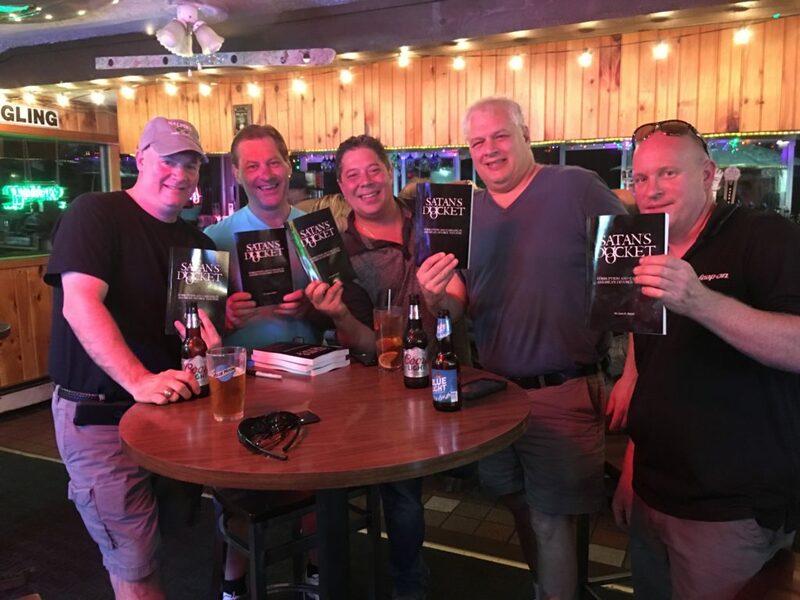 I was unsure until I met an author at the Whistleblower Summit this past July in Washington D.C. Bradley Birkenfeld spent 30 months in prison for exposing tax evasion schemes. On his release he recovered $104 million under the IRS whistleblower program. His book is titled, Lucifer’s Bank. Judicial whistleblowers have no such protection. 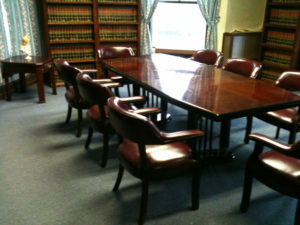 A new Hampshire attorney at the Summit was disbarred for this reason. Her recent book is titled, The Dark Side. So I guess I’m in good company even though I never was disbarred. I am still a member of the New York bar paying registration fees and left in an indefinite state of suspension (longer than a disbarment period) due to my public criticisms. I have never even been accused of any crime. My book is being released early due to a family judge race in upstate New York (Oneida County) which is devoid of meaningful public discourse on the real issues facing moms, dads, children and victimized families in these courts. It is a phenomenal read. Ten years in the making and nine months in the research and writing phase, you will not want to miss this opportunity. It is an unprecedented story about a judicial whistleblower forced to seek protection in Paris and the United Nations, a human rights odyssey spiced with intrigue, romance and humor to keep readers attentive to the greater problem. It has two parts, a macro half focused on a nationwide epidemic (Corruption) and a micro half (Carnage) which relates my personal ordeal as a result. Perhaps most important to my followers is the information value which this book has. Think of it as a crash course in law school on how these courts really work, a “scared straight” program to keep you out of these lucrative tribunals, and it comes from an expert who spent more than 30 years litigating in both federal and state courts. Get your book now by ordering it at www.parentingrightsinstitute.com. A PDF version can be downloaded immediately for a steal price of only $15. An autographed hard copy can be obtained for $30 which includes tax, shipping and handling. You can also send a $30 check or money order to my name at P.O. Box 8302; Utica, New York 13505. You should receive your copy in the mail within 10-15 business days. 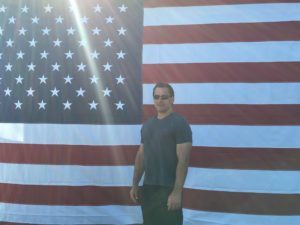 Finally I am sponsoring an open house at my home at 1336 Graffenburg Road; New Hartford, New York where you can check out some of the scenes in my book and exchange war stories with me personally. It is set for this Sunday, October 8, 2017 between 3 and 8 pm. And by the way, that exorcist thing? A New York judge did actually suggest that he might have to enter such an order. Unaware of the request by affidavit before an earlier disqualified family judge, this one suggested it in 2015 during a settlement conference before heading out to a noon time church service. Facetious at the time but true nevertheless for purposes of this book. Kindly share this message for the greater good of our children, and dedicated moms and dads.